The line between Ellen and David Pursell’s own home and the world-class destination they are creating at Pursell Farms just seems to disappear. ABOVE David, Ellen, and their three girls lived at The Orvis Farmhouse before their twin boys arrived. Fertilizer may have been the official family business, but it is true Southern hospitality that grew Pursell Farms, setting it on the course it’s on today. Started by David Pursell’s great grandfather in 1904, the business quickly became known for its product. But as fertilizers themselves evolved, so did the company’s sales and marketing techniques. In 1997, the family sold the consumer arm of the business but retained ownership of a proprietary technological fertilizer delivery system, and David Pursell was eager to get it into the hands of every golf course superintendent in the country. 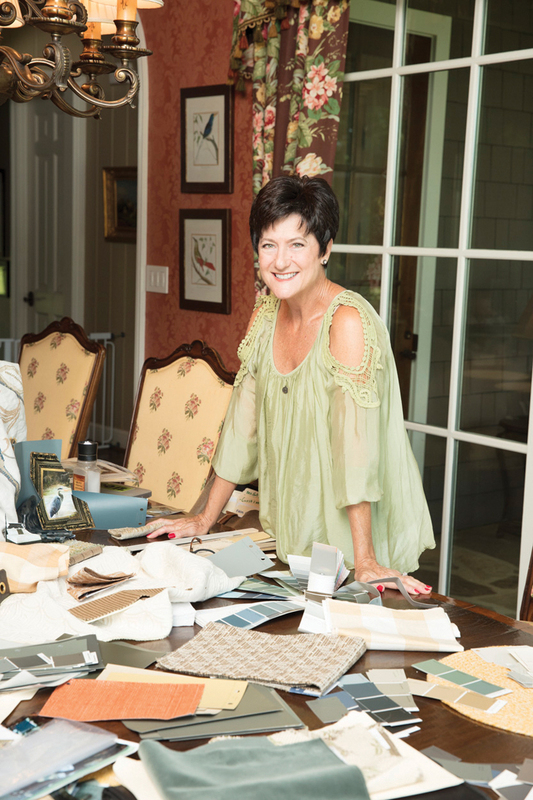 ABOVE Ellen Pursell’s kitchen table looks like a Pinterest board come to life as she moves swatches around with various paint sticks and photos of furniture. This commitment to excellence in hospitality is what drives the latest iteration of Pursell Farms. Having sold the final piece of the fertilizer business in 2006, the family focused even more on the golf course, promoting the corporate meeting business, adding an Orvis-run hunting and fishing operation, and hosting a few small weddings each year. ABOVE The new Inn at Pursell Farms will open in spring 2018. The 40 rooms will double the occupancy on the property. Guests can relax poolside or catch golf tournaments on plasma televisions in Old Tom’s Pub. During this time, David says they entered into an intense planning phase to figure out what they ultimately wanted Pursell Farms to be and “what we needed to do to really blow people away.” Golf and corporate meetings continue to be core parts of the business model, but with the addition of a 40-room inn (set to open Spring 2018), a swoon-worthy indoor/outdoor wedding venue, a spa, a restaurant, and a pool, Pursell Farms is poised to be the premiere leisure destination in the Southeast. The entire property can be reserved for wedding weekends. Girlfriend getaway groups love the cozy cottages. And business retreat guests enjoy meeting in Parker Lodge, where Chef Andrea Griffith and her team can prepare a custom meal so the brainstorming doesn’t have to break for dinner. The Pursell family is teeming with talent, but one might argue that David’s wife, Ellen Pursell, is his ace-in-the-hole. Her keen eye for sophisticated but relaxed décor can be seen throughout the property as she has designed every single living space. 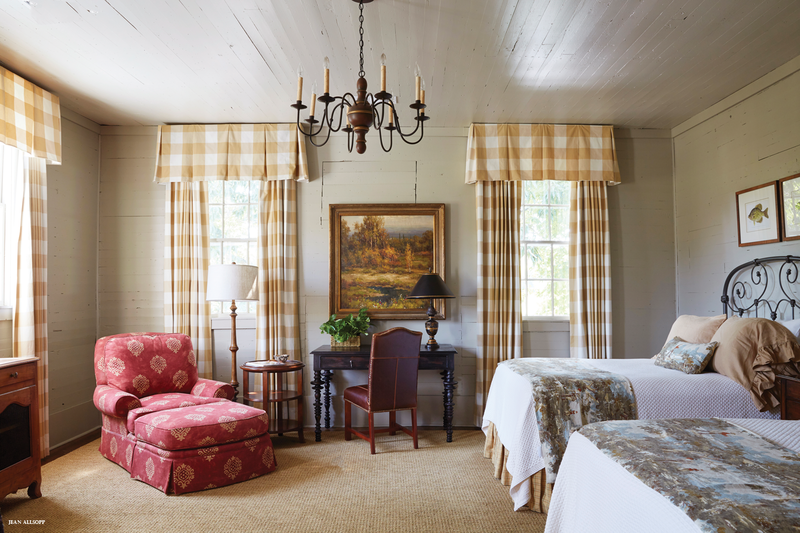 From the bespoke kitchen table at The Orvis Farmhouse to the antique dressers that now accommodate sink basins in several rooms to the handsewn valances, Ellen’s mark is found throughout the property. While she has no formal training, Ellen says she “just plays with things until they feel right.” And as the opening of the new inn draws closer, she is more aware than ever that she wants each space to feel elegant but as comfortable as home. ABOVE A guest room in the Orvis Farmhouse. With the spring 2018 opening of the new Inn at Pursell Farms, the number of accommodations is set to double on the property. Currently, guests may book rooms in historic Hamilton Place (a restored classic raised cottage built in 1852) or The Orvis Farmhouse, the oldest home on the property. 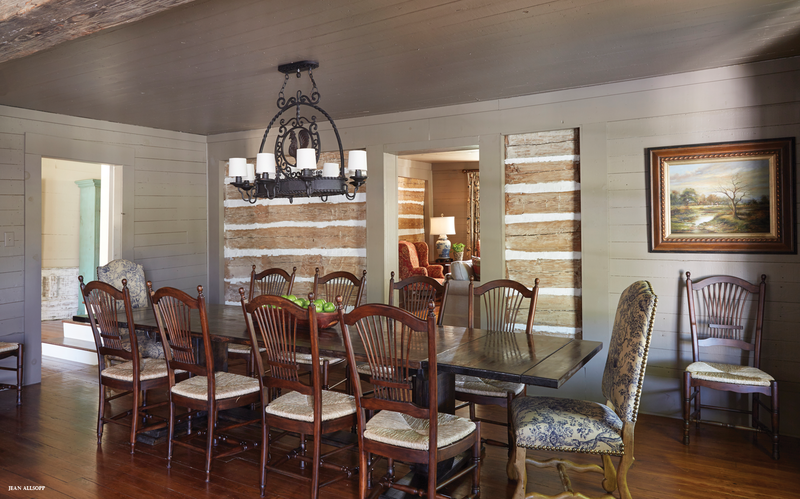 Larger groups enjoy taking over Parker Lodge or any of The Cabins on Masters Row or Architects Circle Cottages. The new inn will shift gears slightly to focus on those guests wanting a more traditional hotel setting. With king-sized bedrooms, a poolside lounge, a fitness center, a pub, and restaurants, the inn offers everything guests need for a relaxing stay. 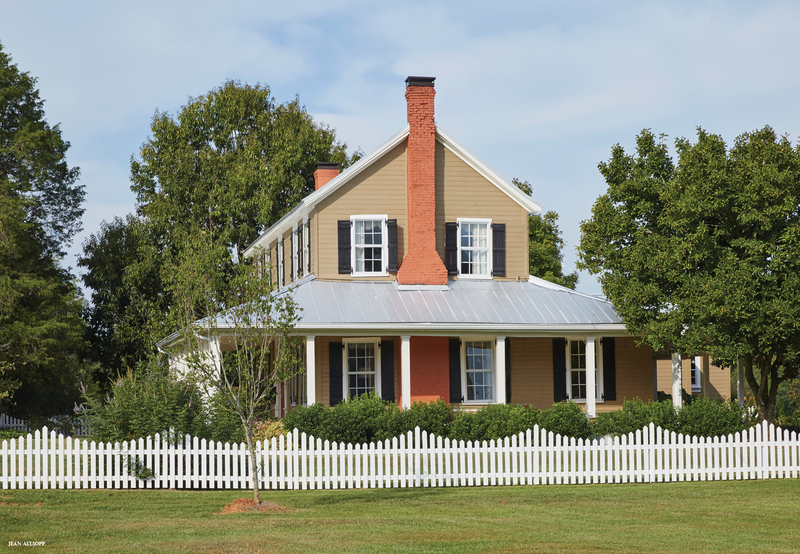 ABOVE Built in 1830, The Orvis Farmhouse is the oldest home at Pursell Farms. The property has been meticulously updated with modern amenities, but original features like the hand-hewn timber serve to maintain the timeless charm. Today, it’s one of several overnight accomodations at Pursell Farms. Acclaimed chef Andrea Griffith, sommelier José Montalvo, and master gardener John Wesson work in concert to make sure every bite eaten at Pursell Farms is memorable. Seasonal menus make the most of everything grown on-site, where a 2-acre garden yields an organic bevy of produce. 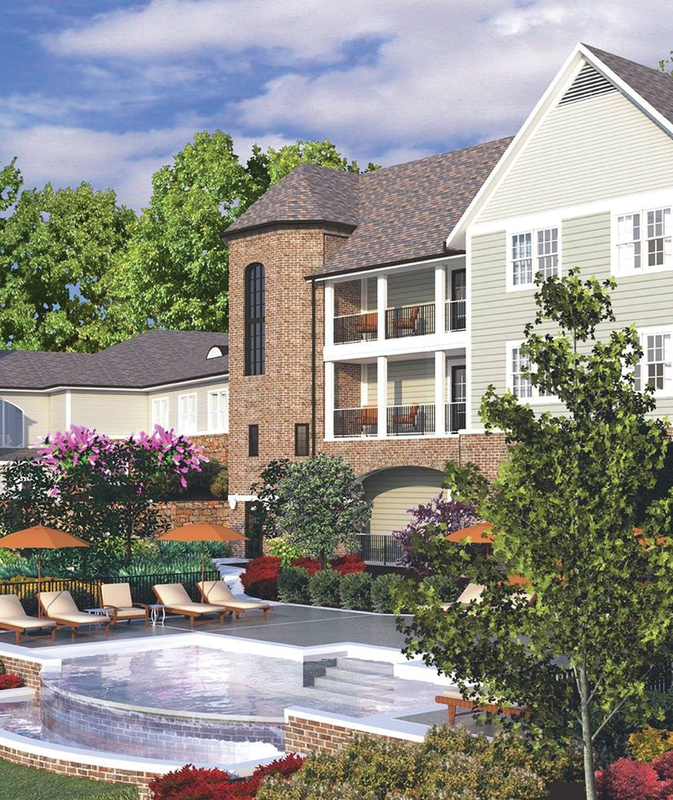 In addition to enjoying meals in The Grille at the Clubhouse, guests will soon be able to order more casual fare while taking in views of the 18th fairway at Old Tom’s Pub, located at the new inn. More elegant meals will be served at Arrington’s, featuring farm-to-fork specialties. As always, Chef Griffith and her team are available to cater private events for guests in the lodge, cottages, or cabins. ABOVE The sweeping driveway to Hamilton Place marks only the beginning of a bride’s fairytale wedding. Leave it to the parents of five children (four of whom are married) to dream up the perfect wedding destination. Hamilton Place is a 22-acre venue featuring much of what every bride wants—a picture-perfect setting with panoramic views of mountains and a flower-laden arbor in the middle of a manmade pond. Hardwood floors line the new 3, 500-square-foot climate-controlled space that can accommodate up to 350 guests. Parker Lodge and John Piney’s Barn are other sites perfect for special occasion get-togethers of any size. 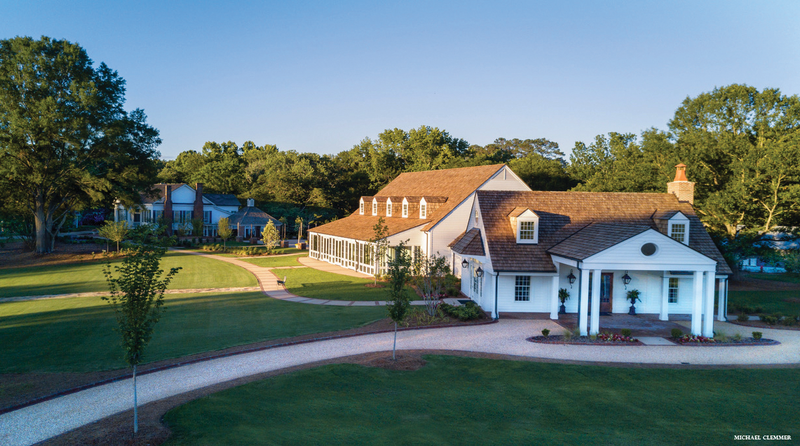 Golf is as important as ever to the continued success of Pursell Farms. The 18-hole Hurdzan-Fry designed course has been the #1-ranked all-access golf course in Alabama for the past four years in Golfweek. Featuring open and forgiving fairways, dramatic elevation changes, and panoramic views of mountains and lakes, it is a golfer’s dream. Not content to call it a day after 18 holes? Stay overnight in one of The Cabins on Masters Row and you can play on an exclusive course just for guests.